Fantasy hockey playoff pools are a bit different than full season hockey pools. Playoff pools only last for 2 months instead of the grueling 7 months of the NHL regular season pools. This makes fantasy hockey playoffs pools more exciting, but also a bit more challenging as you need to essentially predict which NHL teams will move on towards the Stanley Cup. So, not only must you be a hockey pool expert, you need to have a crystal ball (or at least some good hockey knowledge) to make predictions for each playoff series along the way. What makes it even more difficult, is you have no idea who is going to matchup after the 1st round of the playoffs. Real Money Fantasy Leagues is here to cut out all that thinking for you by providing easy to follow fantasy hockey playoff pool draft strategies that will help you to win your NHL playoff pool...we have listed our top NHL playoff pools tips below. And, if you haven't played in 1-day NHL fantasy playoff pools, then you really should give them a try as they are much easier, much less stress, and much easier to make money at. Just think - you could cash in each and every single day of the NHL playoffs at a site like DraftKings.com! Plain and simple...it is more important to predict the series winners than it is to make good player picks. Choose the 2 or 3 teams you think have the best chance to win the Stanley Cup (or at least make the finals) and stack up on fantasy players from those NHL playoff teams. Sometimes, you can even just take the favorites and be very successful in your hockey playoff pool as most pool owners will spread out their teams and take 1 or 2 players from about 12 different teams - big mistake. If you can find deep teams, it often pays to narrow down your choices to just 2 teams that are most likely to make the Stanley Cup finals and just take all the players from your predicted finalists. 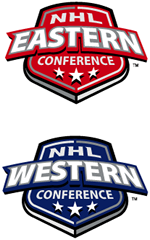 Make sure though that you have at least 1 playoff team each from the Eastern Conference and the Western Conference. Most fantasy hockey playoff pools are overweighted towards goals rather than points. Therefore, you need to look at a list of the leading goal scorers for each of your chosen teams and make sure you have the top snipers. Goal scorers are much more important in this set of hockey pool rules than assist guys or scoring leaders in terms of points. Knowing your fantasy hockey playoff pool rules is very important. Find out how many points each of the positions get. Are goals weighted more than assists?...or is it just a total points pool? Do goalies have special point systems? Know how many players you need to draft in each category. Find out if you can trade or drop or exchange players. Convince your playoff pool commissioner to determine the draft order ahead of time so you can plan your draft strategy. Find out the injuries for the playoffs. Knowing the injured players is an absolute must. We suggest avoiding players with injuries like the plague unless they are superstars (e.g. Sidney Crosby). Taking an injured player is a huge risk, but occasionally players with injuries can be sleepers if everyone else is avoiding them. Try to draft one late if possible. Get to your fantasy hockey pool draft early and chat up the other owners and find out who they are taking. Tell them a "fake" draft strategy you are using - this convinces them to share their "real" draft strategies with you (important pool information that you can use). Make sure you know everyone's favorite team going into the pool - this will help you determine who they may pick so you can scoop them up before it is their turn to draft. Sometimes (not all the time) it pays to choose a #6, #7 or #8 seed underdog and load up on the players from that team. This fantasy hockey playoff pool draft strategy doesn't always work, but when it does, you win easy money. If the longshot wins or even makes the Stanley Cup finals, you are more than likely to win your hockey pool. Simple enough...have all your wits...this means save your drinking for when you watch the pool players you own rack up the points on your way to victory. Did you know that now you can compete in daily hockey playoff pools online to win real cash? This is perfect if you are having trouble finding a playoff pool to get into or are tired of the same old playoff pool that lasts for the whole 2 months of the playoffs that you could be out of at the end of the first round. Daily playoff pools happen every day and are just for the games that night! You can pick new players each day and win money each day. You can play daily throughout the playoffs which means you can rake up quite a bit of cash. Also, you don't have to "find people" to be in your pool. You can just join a pool of existing owners waiting to play. Fast. Easy. Daily. Real money. What more can you ask from a hockey playoff pool. Check out DraftKings to see what you have been missing!